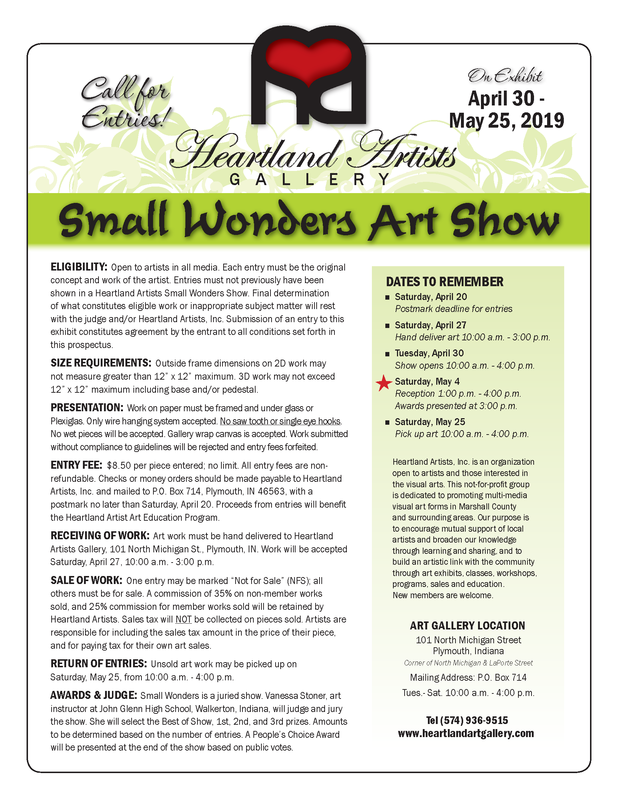 The 2019 Small Wonders Juried Art Show prospectus is now available. 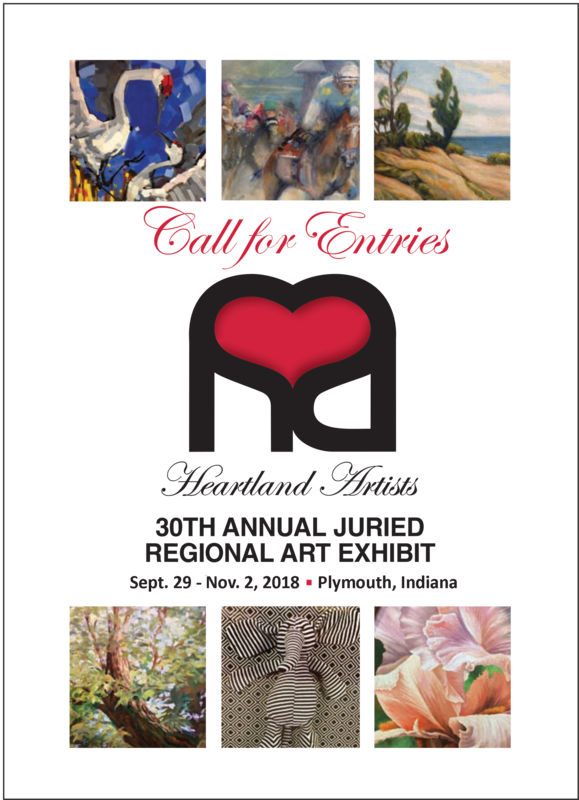 We look forward to your entries! 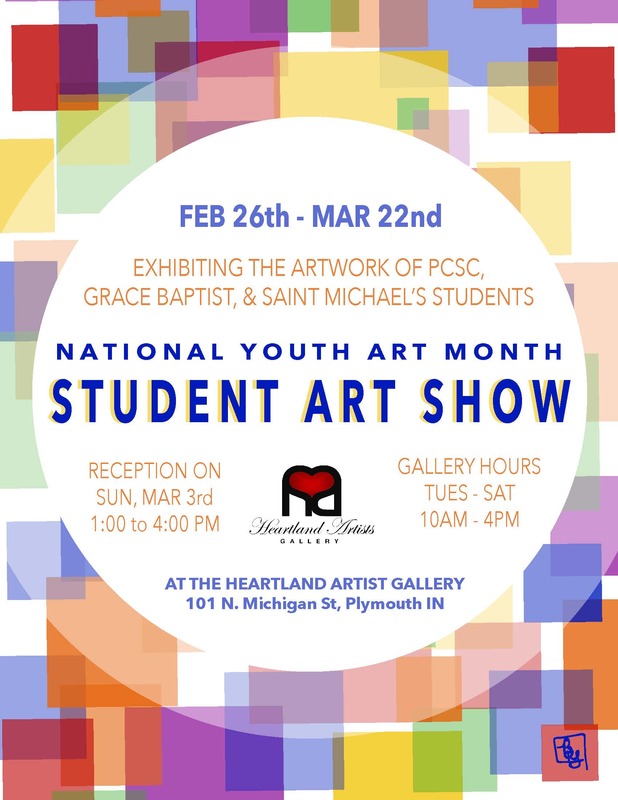 MARCH IS YOUTH ART MONTH AT THE GALLERY! 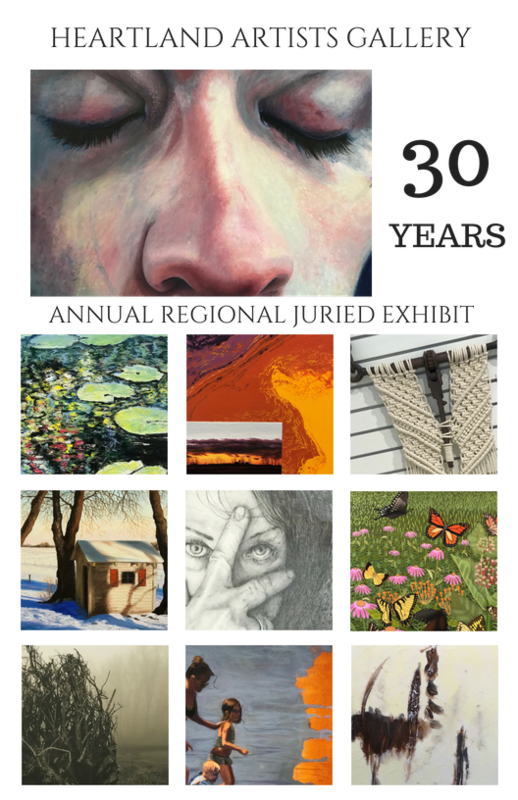 This year’s Youth Art Month poster is designed by Plymouth High School Senior, Bridget Schafer. Comments Off on WOW! Check out our Spring Class Lineup! 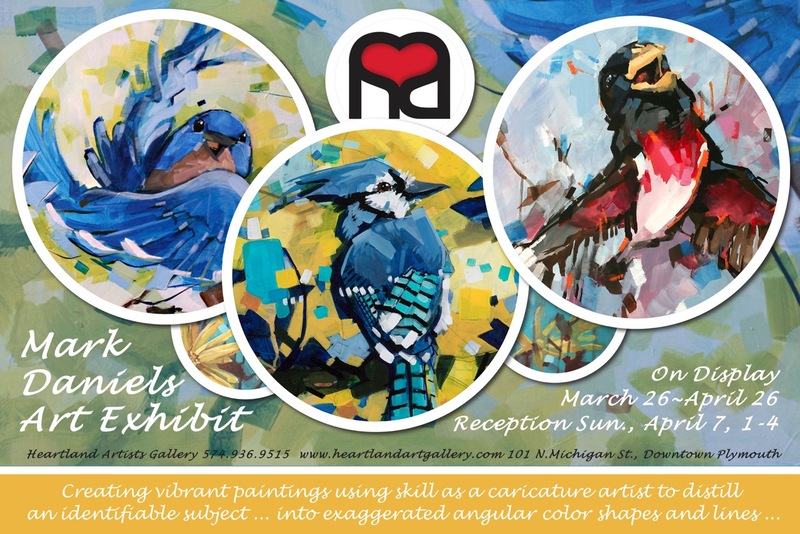 Mark Daniels is the Featured Artist for March! 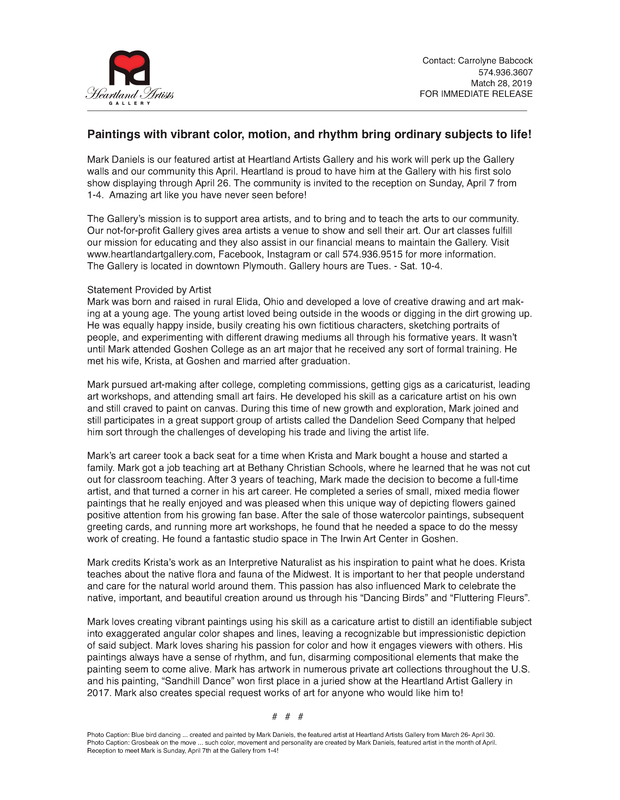 Comments Off on Mark Daniels is the Featured Artist for March! 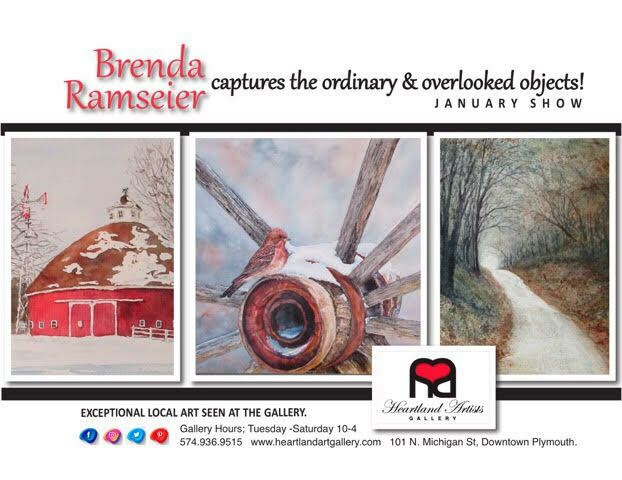 2019 Kicks off with Featured Artist, Brenda Ramseier, and Dozens of New Classes! 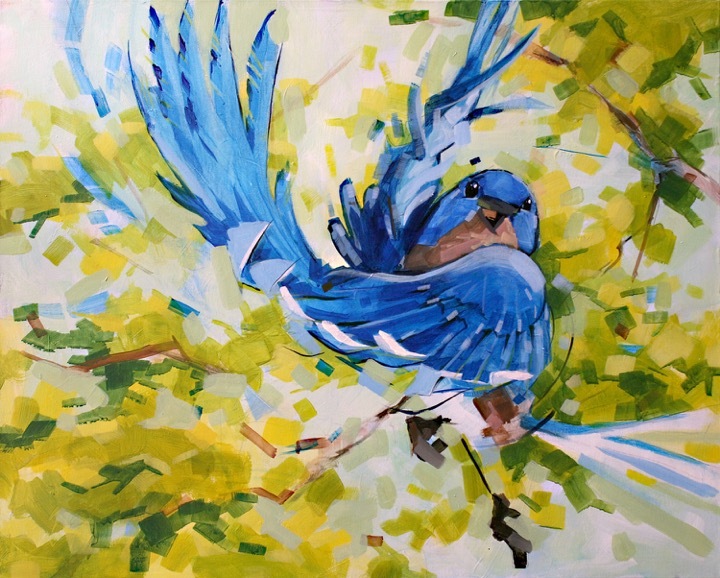 Comments Off on 2019 Kicks off with Featured Artist, Brenda Ramseier, and Dozens of New Classes! Click the “2019 Classes” Tab to view the winter session! 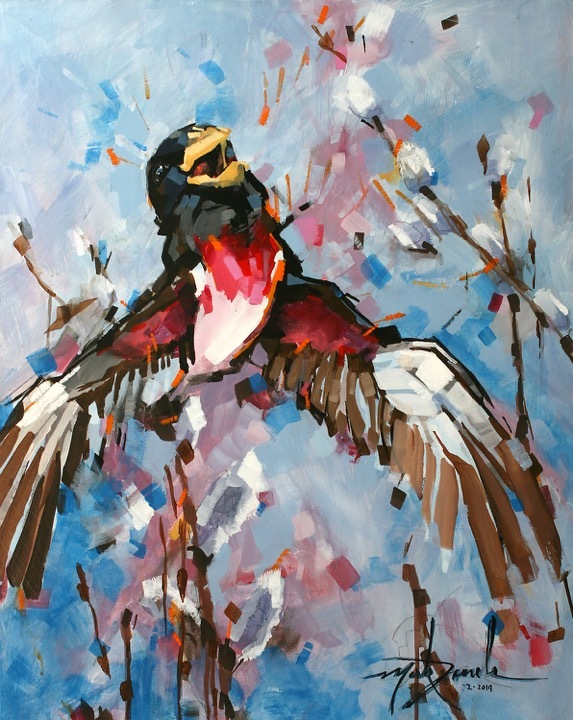 “Winter’s Beauty” to be displayed December 1st! 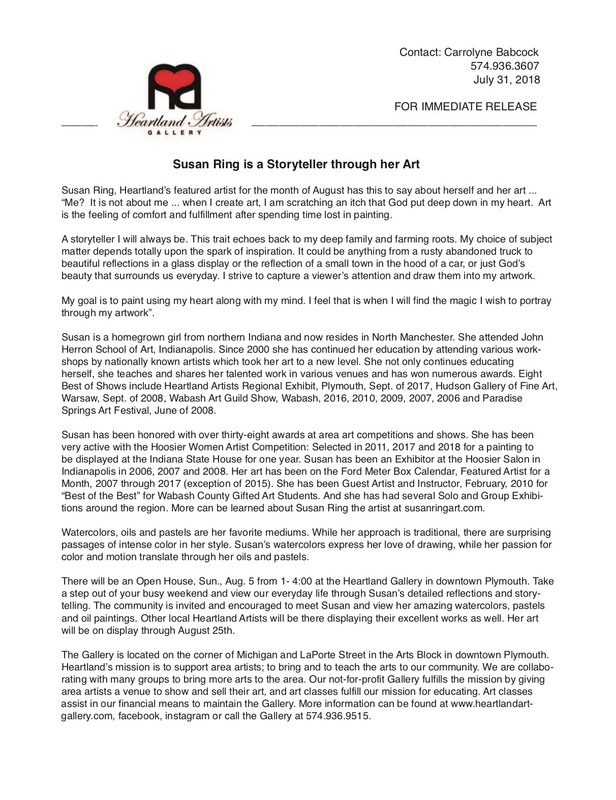 Comments Off on “Winter’s Beauty” to be displayed December 1st! 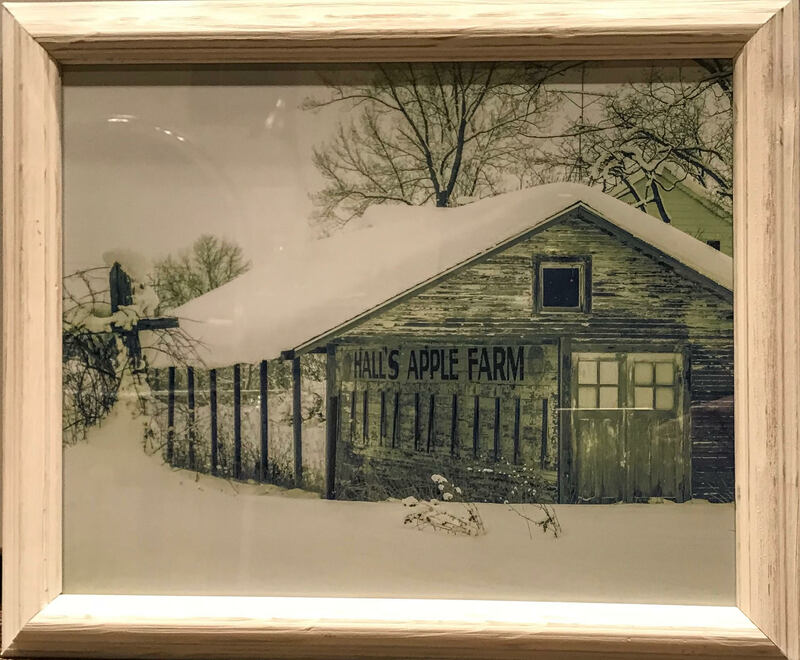 Each year, the member artists of the Heartland Artists Gallery create works based around a theme in a variety of media. This year, the members have chosen, “Winter’s Beauty” and the display will be hung on December 1st, lasting through the month. 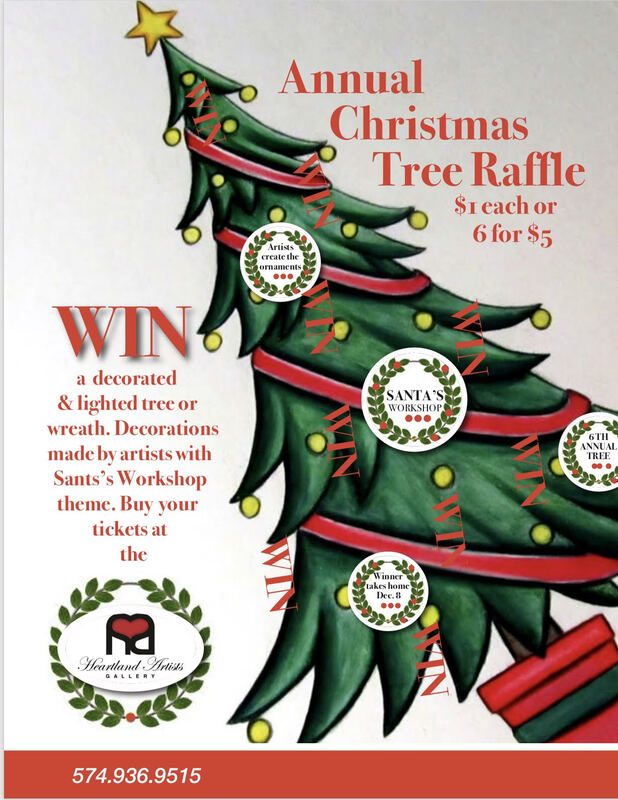 Be sure to stop in to see what the Heartland members have created this year! 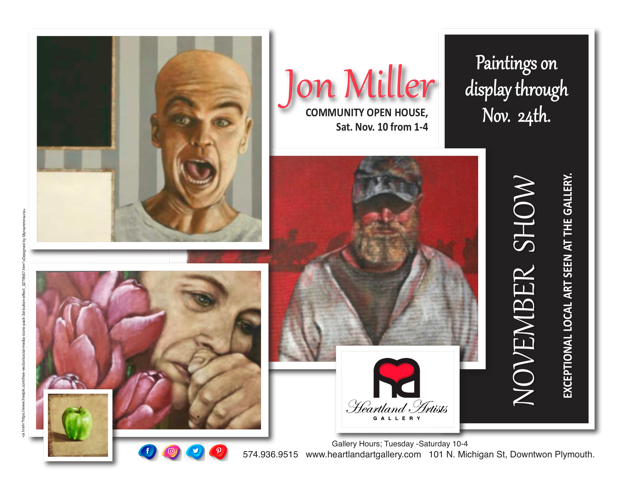 Comments Off on Jon Miller’s Contemplative Works and Christmas Shoppe kick off in November! Comments Off on 30 Years! 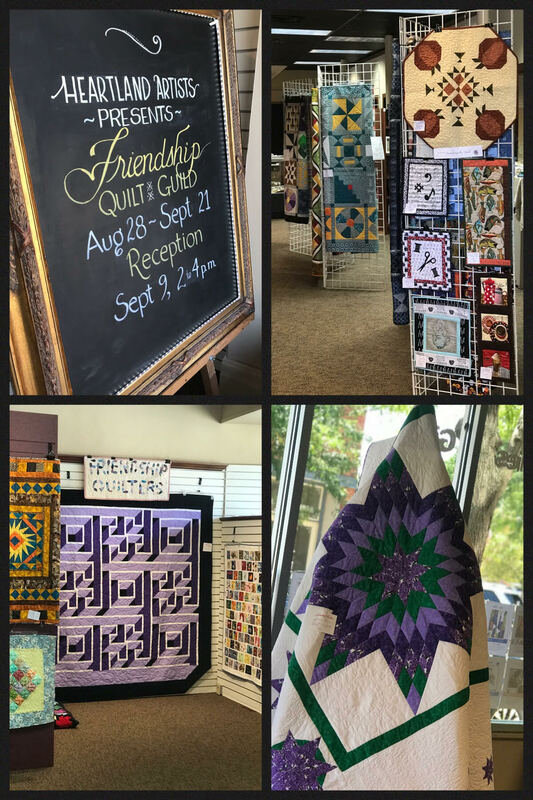 Comments Off on Quilt Show & Call For Entries! 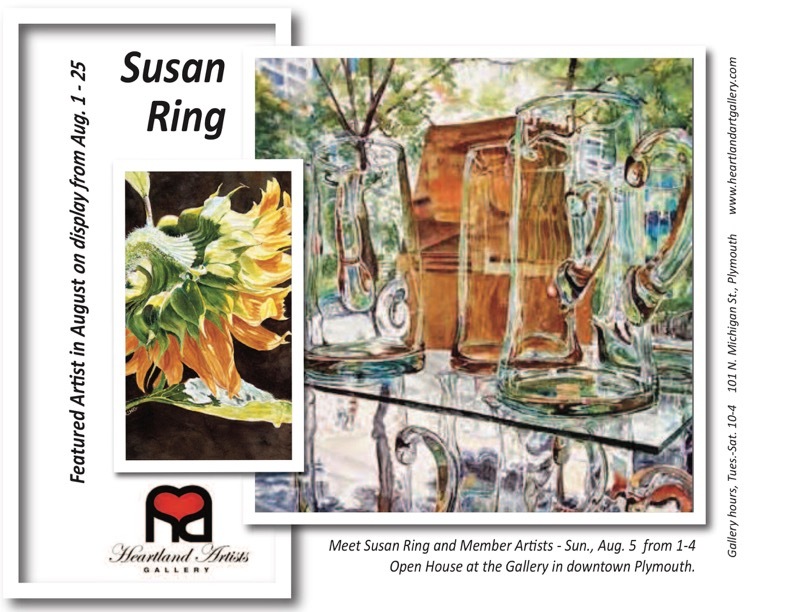 Meet Susan Ring and view her work at an Open House on Sunday, August 5th from 1-4PM, at the Heartland Artists Gallery!